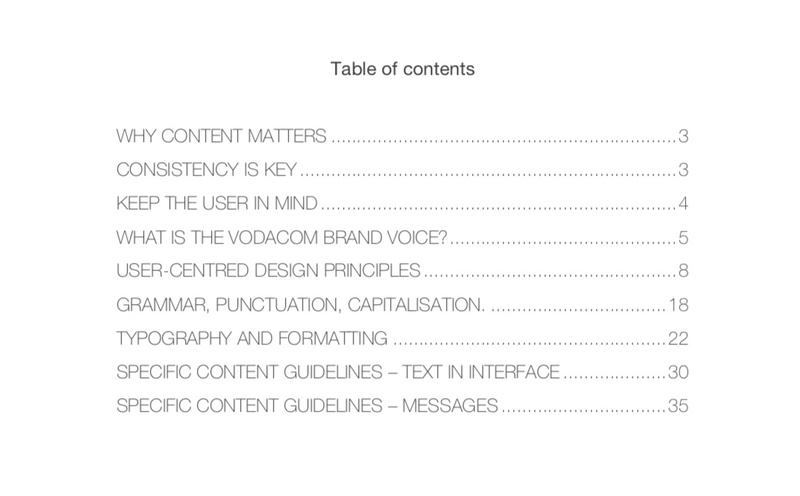 Compilation of the Vodacom content styleguide – Word Couture Co. The way in which businesses communicate to customers matters. Visitors to their digital channels need to easily grasp what the services offered are and understand how they work, and to achieve this, the business relies on the written word as a means to relay information across platforms and journeys. Choice of words and the tone in which they are strung together also matters because the text used needs to inspire customers to take action. It gently nudges users, and makes it easy and intuitive for them to follow through important journeys and complete tasks successfully, which in turn will result in higher Net Promoter Scores, increased sales, return users, and ultimately a more robust business. Since a large number of people are tasked with managing customer-facing channels, a website can quickly reflect a jumble of spelling, grammatical and punctuation errors, especially when the various communication and development teams don’t own a standard document on-hand, which is set in stone and guides writers to achieve consistency in brand voice and content creation across the board. Compilation of a styleguide tends to take a back seat in most large corporates which face capacity challenges and more pressing core business issues. Telecommunications giant, Vodacom SA recognised their need for a styleguide and approached our Word Couture Co. team for assistance. We were instrumental in drafting a long overdue standards document for Vodacom SA, which captures everything from customer-centric lingo, intuitive calls-to-action and typography to the precise use of double quotation marks, readability, and how numerals should be written out. 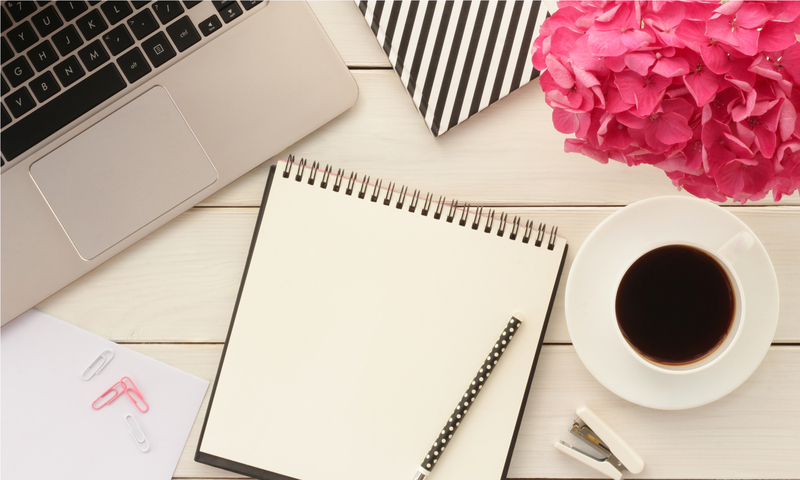 Does your company require a brand voice and content styleguide? Get in touch and let us guide your website, app, blog, adverts, emailers and brochures towards uniformity for an improved customer experience. Please note: To avoid infringement on intellectual property and copyright, further details of the Vodacom content styleguide cannot be shared publicly.